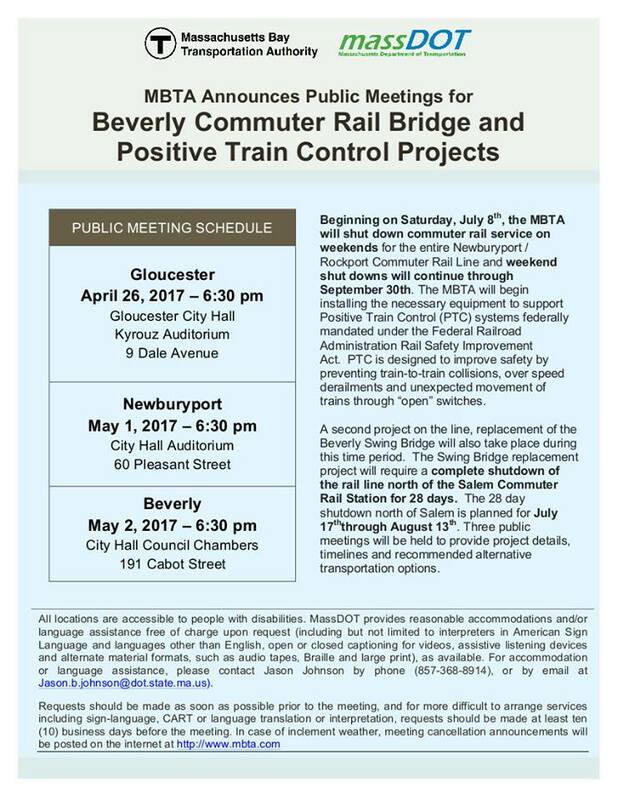 Locations and times for MBTA meetings near you. 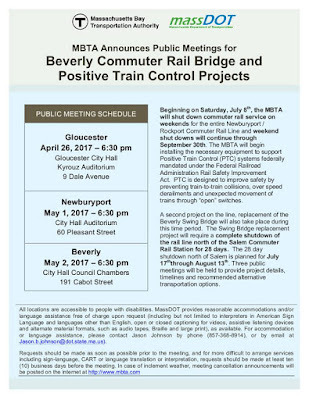 Please note: the MBTA has informed me this morning that the Beverly-Salem bridge will be closed one week later than appears in this flyer. They now project the bridge closure for Saturday July 15th.